The other day I got an email from someone who had been the victim of a theft. They had a pretty good idea who had taken their stuff and had tried normal means of getting it returned - like asking around politely - but to no avail. They wondered if there was any thing they could do magically to help get their item back. Well, there is, but if you are the kind of witch who says one should never cast curses, you had better stop reading now. While I agree it is anti-social to physically harm anyone - whether by magic or mundane fisticuffs - I do think there can sometimes be a place in the modern world for spells that use a little sting in order to get justice. This is a curse to catch a thief - a slight variant of a spell I published in my book Pagan Portals: Candle Magic. 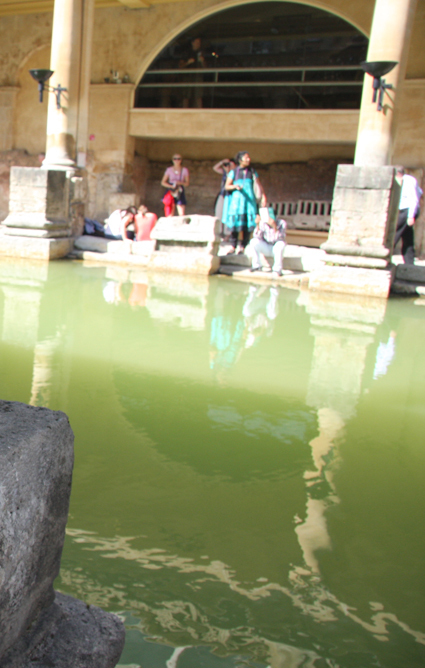 At Bath, in England, many curse tablets were found at the sacred springs of the goddess Sulis Minerva. These were tiny strips of metal on which a curse had been written and then thrown into the hot pools (you can see a few in the photo at the bottom). Quite a few of these were from people who had been the victims of theft and who wanted their items returned and the culprit punished. Sulis Minerva is a goddess who lists among her attributes wisdom, magic and commerce and is a champion of just causes. Here is a spell based on the ancient traditions from Bath. The basics of what you need are a bowl of water, a floating candle and two altar candles, a slip of paper, a pen, some incense, matches, a glass of pure spring water and a pinch of whatever hot spice you have in the kitchen – black pepper, paprika, ginger or chilli powder would do. 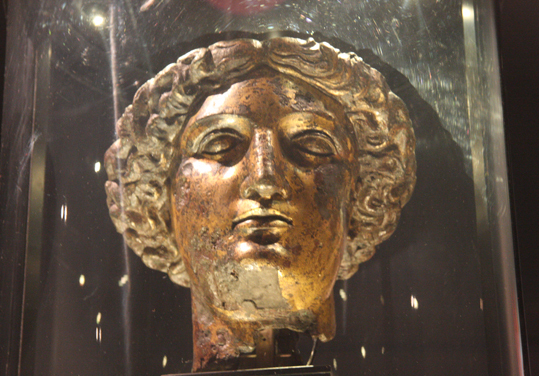 You will also need space to set up an altar and something to represent the goddess Sulis Minerva. This could be a goddess statue or a drawing or print of the famous golden head of Sulis Minerva pictured at the top of this post. Read the words aloud, then roll the paper up and light it with the flame of the floating candle. Hold it over the bowl of water. Before the flames reach your fingers and burn them, drop the ashes and remains of charred paper into the bowl of water. Then, sit in front of the altar while the floating candle burns down and give thanks to Sulis Minerva while sipping the glass of pure spring water. When there is just a small amount of spring water left in the glass, pour that into the water in the candle bowl as an offering to Sulis Minerva. Ideally let the floating candle burn down completely on the altar. Although you don’t have to sit and watch it all the time, lit candles shouldn’t be left unattended for safety reasons. When the candle is out, remove it from the bowl and take the water outside to pour it, with the ashes, spices and burnt paper scraps onto the earth. Dispose of the remains of the candle in the rubbish. You can find out more candle magic spells in my book Pagan Portals - Candle Magic: A witch's guide to spells and rituals. Just completed this spell as i was demonstrating at the weekend and some 'motherless son or daughter' stole two of my best craft books from my stall while i was teaching children for free! One was the very first book that i had ever brought of my particular craft 25 years ago, which is now out of print, and the other was a brand new hardback book that i had not even had a chance to read myself yet. This very simple candle spell not only helped to ground the tremendous anger& sadness that i had felt all weekend, but as i recently visited the Roman Baths & saw these amazing curse tables for myself, it reminded me that i had also brought a beautiful little image of Sulis Minerva while i was there, so that was my focus, and she will now remain upon my altar until i see a result from this spell. Thank you Bad Witch from a still very annoyed, but extremely grateful Druid Ovate!